Dr. Kenzo Tenma is a renowned Japanese brain surgeon working at a leading hospital in Germany. 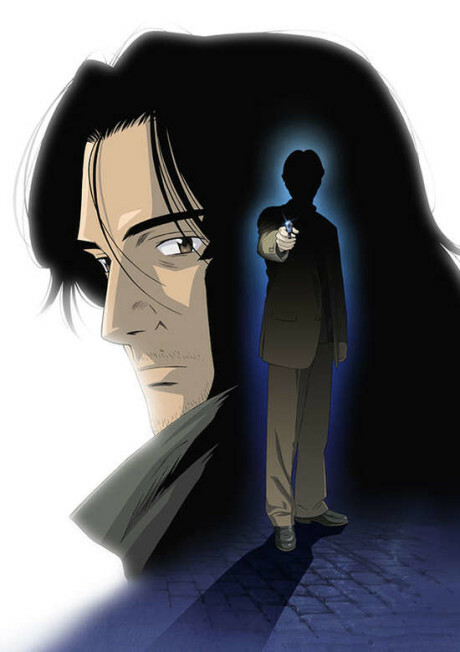 One night, Dr. Tenma risks his reputation and career to save the life of a critically wounded young boy over that of the town mayor who had been planning to support the hospital financially. A string of mysterious murders begin to occur soon after the operation, and Dr. Tenma emerges as the primary suspect despite no incriminating evidence. A doctor is taught to believe that all life is equal; however, when another series of murders occur in the surgeon's vicinity, Dr. Tenma's beliefs are shaken as his actions that night are shown to have much broader consequences than he could have imagined. Leaving behind his life as a surgeon he embarks on a journey across the country to unravel the mystery of the boy he saved. Monster has a lot of suspense, with brilliant writing, but don't expect your morals to be seriously challenged by it.